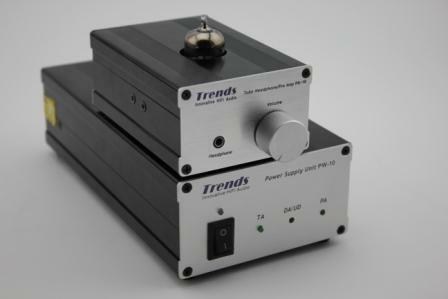 Trends TA-10.2 SE Mini Class-T Stereo Amplifier provides up to 2x15W output with the bundled 4A AC power supply unit & ALPS volume pot. 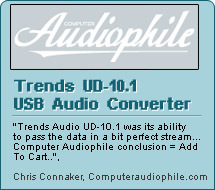 Thanks to the Tripath's proprietary Class-T Digital Power Processing (TM) technology and our special techniques in circuit design and component selection, Trends TA-10.2 SE achieves the sound quality of high-end Hi-Fi but in a very affordable price. 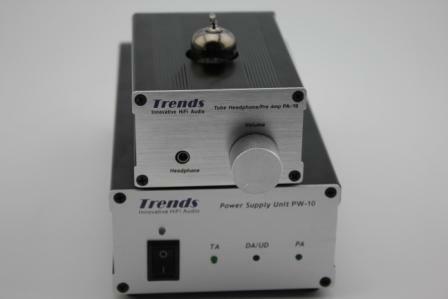 Applied proprietary techniques of the third generation of the highly acclaimed Class T-amp TA-10 Series into the circuit design and remove the volume pot to minimize distortion, Trends TA-10.2P Class-T power amplifier let you work with Trends PA-10 Tube Preamp or any pre-amplifiers to the Hi-Fi system at affordable price. Besides used the top Tripath's TA2024 IC, Trends TA-10.2P SE Class-T power amplifier also put much effort and applied much proprietary techniques into components matching, sound tuning and even the case grounding and shielding. To set up a good-sounding, compact tube-and-solid-state amplification system. To perform the warm, comfortable tube sound and in addition, guarantee the high fidelity & sufficient driving power to the next power amplifier stage. To have the Transformer-based linear mode power supply to concurrently support THREE audio appliances: TA-10, PA-10 and UD-10 (can also apply to the future DAC DA-10). To saves space, electricity, and best of all, sounds great. Just simply configure your existing Trends TA-10 Class-T Stereo Audio as a pure power amp (no volume control function) by resetting the jumpers in J2(Refer to P6 in TA-10’s user manual) and connect this upgrade package, it is easy to set up our award-winning Trends Combo One Hi-Fi System. Sound quality this good is now available in a size and price that you can afford, and is no longer the exclusive domain of larger "audiophile" systems. Trends CQ-121 Audiophile Audio Cable (0.47M(1 pair) x 1 pcs. - PA-10, PA-10 SE and PA-10 GE use the same body. - Individual AC adaptor for each product (i.e. TA-10 & PA-10) is not included in Combo package. 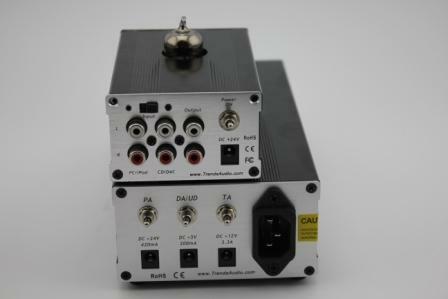 All Combo Package use one power supply unit PW-10 only.